Are you on the market for used Nissan cars in Gainesville, Buford, or Cummings? 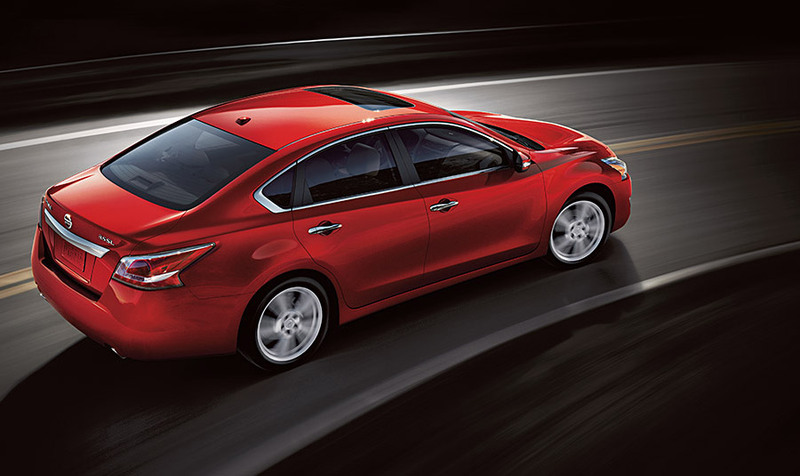 We’re here to help you choose the right Nissan automobile for your automotive needs. Whether you’re on the hunt for a vehicle with a low price point and good fuel economy, or a newer Nissan pre-owned vehicle with a big discount and only a handful of miles, we are guaranteed to have an interesting option in stock for you. Let’s dive right in and take a closer look at our extensive inventory for budget-minded drivers, mid-range searchers, and those drivers who want outstanding luxury and features at a discount. Read on to learn more – and see how you can take a Nissan or any of our other quality makes for a test drive at Carriage Mitsubishi today! For drivers on the market for a budget-oriented and dependable Nissan pre-owned vehicle, the 2015 Nissan Versa S Plus FWD 4 door sedan checks all of the right boxes. For just $9,994 – or a small $180 per month payment – you can invest in a vehicle with only 34,497 miles on the odometer. Its steel-gray paint job, 40 MPG highway fuel efficiency, and automatic CVT transmission ensure you’ll have a reliable and dependable form of transportation. Looking for something a little more unique? 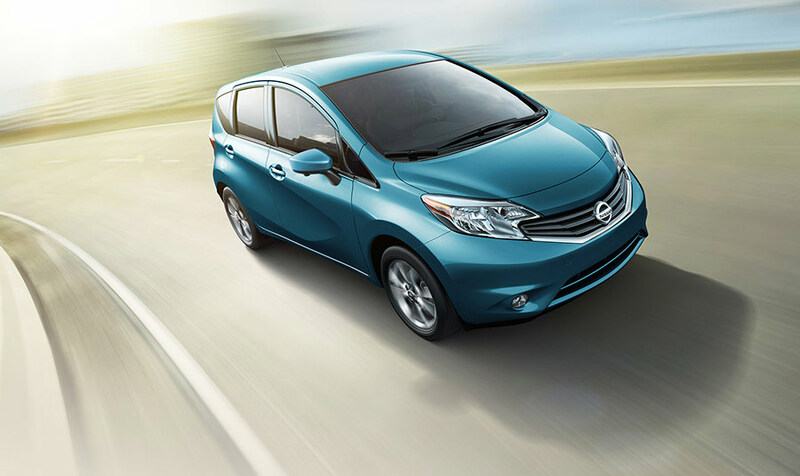 The 2015 Nissan Versa Note S Plus may be the right choice for you. $10,621 gets you a like-new Versa Note S Plus with only 31,034 miles. It achieves 40 MPG on the highway, and its sky-blue exterior is sure to turn heads. Check it out today! For a mid-range used Nissan, we have a lot of options you might be interested in – such as the pre-owned 2013 Nissan Juke S FWD. This fun, sporty compact brings outstanding handling and a fun look and feel to the road – and at just $14,596 its price cannot be beat. Want a pickup truck? 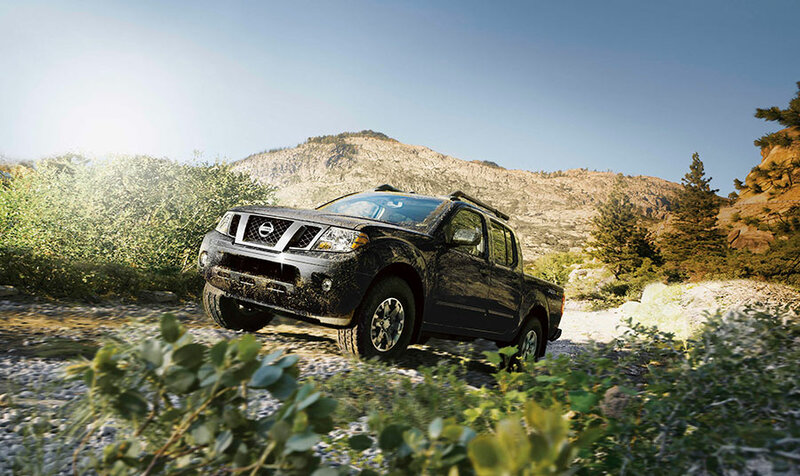 Why not check out the pre-owned 2010 Nissan Frontier XE 2WD for just $17,802? With just over 42,000 miles and great cargo capacity, it’s sure to help you get the job done with minimal fuss. Or what about a pre-owned 2015 Nissan Altima 2.5 S FWD 4-door sedan for $19,029? It’s like-new with only 5,703 miles and a superb 2.5L DOHC engine that gets 38 MPG on the highway. If it’s a steep bargain you’re after, then our high-end pre-owned Nissan vehicles may just be the right choice for you. By investing in a pre-owned Nissan, you’re saving on the costs of the initial depreciation of the vehicle while still gaining the benefits of a like-new car. For example, check out the pre-owned 2016 Nissan 370Z RWD 2-door coupe. It has a mere 217 miles on its odometer – it’s almost as if it has never been driven! With its 3.7L DOHC 24-valve V6 engine, 26 MPG on the highway, and an advanced 7-speed automatic transmission all for just $27,332, it’s one of the best deals on our lots today. If that’s not good enough of a deal for you, why not check out a pre-owned 2015 Nissan Frontier PRO-4X 4WD pickup truck for just $30,381? You’re getting awesome savings, and it’s still a spring chicken with only 50,500 miles. Compared to the starting MSRP of buying one of these new, you’re getting an incredible bargain in a vehicle that’s performed reliably since first rolling off the lot. Add in 21 MPG on the highway, a lava red exterior, and a 4.0L V6 engine that truly purrs, and you have one of the greatest deals available on the used pickup truck market today. Test Drive a Pre-Owned Nissan Today at Carriage Mitsubishi! The best way to choose the right Nissan automobile for your specific automotive needs is to visit us today and take one, two, or five for a test drive around the block. We’re located at 2350 Browns Bridge Road in Gainesville, GA 30504, and you can contact us on the phone at 678-932-1710 or send us a message online. We hope to hear from you soon and give you the opportunity to take a superb pre-owned Nissan for a test drive today!